Dr Lo received his medical degree and Orthopaedic surgical residency from the Schulich School of Medicine & Dentistry, University of Western Ontario, London, ON, Canada. After completing his surgical residency, Dr Lo spent two years as a clinician scientist of the Alberta Heritage Foundation for Medical Research studying soft tissue healing at the University of Calgary, Calgary, AB. Dr Lo then began his sub-specialization in the treatment of shoulder conditions studying under Dr Stephen Burkhart (University of Texas, San Antonio, TX) and Dr Evan Flatow (Mount Sinai Medical Center, New York, NY). Since returning to Calgary, Dr Lo has dedicated his practice solely to the treatment of shoulder conditions and has helped improved the quality of life of thousands of patients across Canada. He is an Assistant Professor in the Faculty of Medicine, Department of Surgery, at the University of Calgary, Calgary, AB. Dr Lo specializes in the arthroscopic treatment of shoulder conditions and has pioneered several arthroscopic shoulder procedures. He holds multiple patents for several arthroscopy and shoulder-related products. Dr Lo lectures nationally and internationally and has presented or published hundreds of papers. He has served on the committees of several distinguished organizations including the Arthroscopy Association of North America, American Shoulder and Elbow Surgeons, American Academy of Orthopaedic Surgeons and the Canadian Orthopaedic Association. 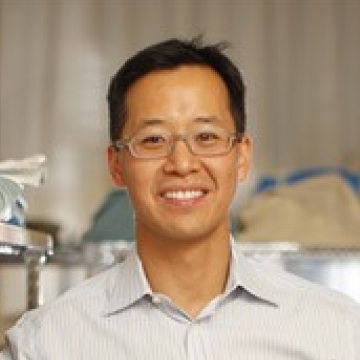 Dr Lo has twice been awarded the American Shoulder and Elbow Surgeon’s Neer Award, the organization’s highest distinction for shoulder research and is a recipient of the Canadian Orthopaedic Association Founder’s Medal. He co-authored “A Cowboy’s Guide To Advanced Shoulder Arthroscopy”, which was recognized for its ingenuity by the British Medical Association and is now considered a classic text. Dr Lo continues to serve as a shoulder consultant to the National Hockey League Players’ Association (NHLPA) and as a judge for International Natural Bodybuilding and Fitness (INBF). When he is not working Dr Lo, he spends most of his free time with his wife and four children. He enjoys skiing, snowboarding, fitness and mixed martial arts training.